In a newly published study, researchers uncover several potential ways that type 2 diabetes and cardiovascular disease may be related at the level of genes, proteins, and fundamental physiology in women. Providence, Rhode Island (Brown University) — Type 2 diabetes (T2D) and cardiovascular disease (CVD) appear to have a lot in common. They share risk factors such as obesity and they often occur together. If they also share the same genetic underpinings, then doctors could devise a way to treat them together too. With that hope in mind, scientists applied multiple layers of analysis to the genomics of more than 15,000 women. 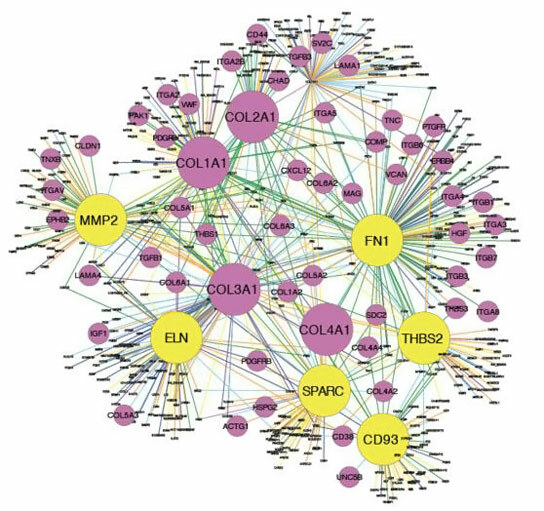 In a new study they report finding eight molecular pathways shared in both diseases as well as several “key driver” genes that appear to orchestrate the gene networks in which these pathways connect and interact. Be the first to comment on "Type 2 Diabetes and Cardiovascular Disease Share Eight Molecular Pathways"